An office bridal shower is a way for coworkers to celebrate the upcoming marriage with the future bride. Many of the planning details involved, will be the same. In comparison, this is usually on a less elaborate scale. A bridal shower planner at work, is the person who takes on the job of organizing the event. This is often someone close to the "guest of honor" who offers to take care of things. Depending on the size of the work area, this could be several people. *** Do you have a great idea for an office bridal shower? Share it! *** The first step to take, is to make sure a party is okay with the boss. Then pick a date and time. If it is a small workplace, it is usually best to invite everyone. A larger company can be narrowed down to close friends or a certain department, etc. • Is a printed invitation necessary? No, an e-mail or personally asking, is fine. • Where is the party held? A small group of employees often hold this event it right in the space where they work. If there is a separate room where the party can be held, take advantage of it. Bridal showers can also be held at a local restaurant during lunch hour, or after work. If you choose this option, make a reservation in advance. • How long should it be? Keep it to an hour, or less, if it is held during the workday. After hours, is at your discretion. • Should we have decorations? 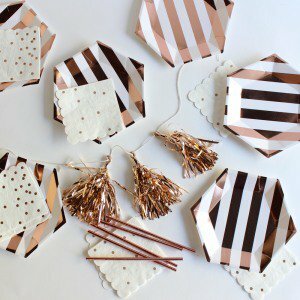 Bridal shower decorations aren't mandatory, but they sure are fun. An office bridal shower usually has simple decorations. 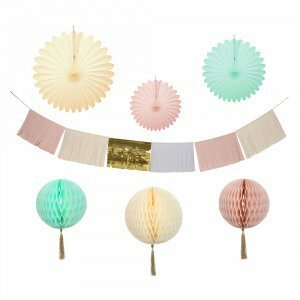 Balloons, flowers, and streamers are popular, as they are easy to set up and take down. When planning, don't forget plates, napkins, and utensils. 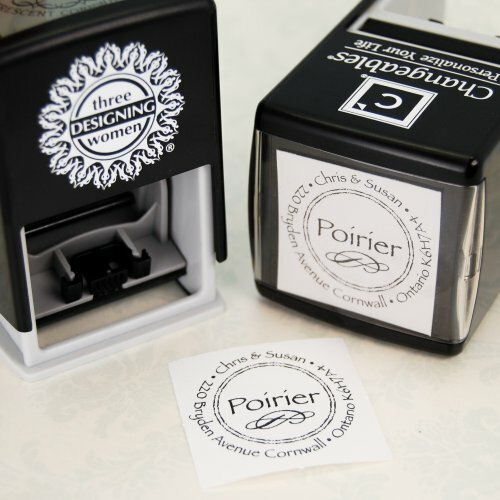 There are kits available that are cost-effective, depending on the number of people in your group. 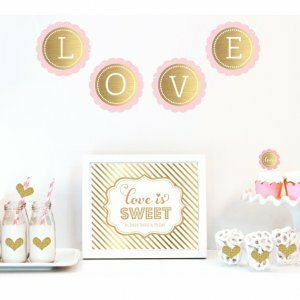 • What are the Most Popular Bridal Shower Printable Games? • What about the food? A bridal shower cake, alone, is acceptable. Many times a luncheon is planned. A buffet works well. Ask everyone to bring something. Assigning specific items, ahead of time, will help coordinate the menu. Cold cuts, rolls, and a fruit plate are all good choices. Italian, Chinese, Mexican? Keep this in mind, and surprise her with a special buffet meal, geared around that type of food. Sometimes, workers want to chip in for food and have it delivered. Choose a restaurant with that special food, and you're set. • You may want to use a refreshing punch recipe. *** A general rule: never serve alcohol at the workplace. • How are gifts given? Joint gifts are very popular at these events. The person who organizes the party should make an effort to find out what is needed. Everyone chips in, and one or more gifts are purchased. A gift certificate may also be given. They aren't necessary, but everyone loves them. Sometimes there's a crafty person who will offer to make them. You can purchase them, if you want to, but don't feel obligated. *** An office bridal shower is usually a simple affair. If you need more in-depth information, please see my other pages. Have A Great Office Bridal Shower Idea? 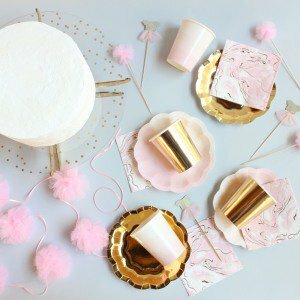 Do you have an idea for an office bridal shower? How are parties handled where you work? Share it! Please give your office story a Title.